Yesterday afternoon, we finally got a glimpse of how broad the support for Alexandria Ocasio-Cortez’s “Green New Deal” was in the Senate. Senate Majority Leader Mitch McConnell called the bill for a vote, and the eco-extremist movement was dealt a substantial blow. The reason? Not a single Senator voted for the Green New Deal. But three left-leaning Senators, along with one Independent who caucuses with the Democrats, defied the liberal base and joined in voting against the Green New Deal. 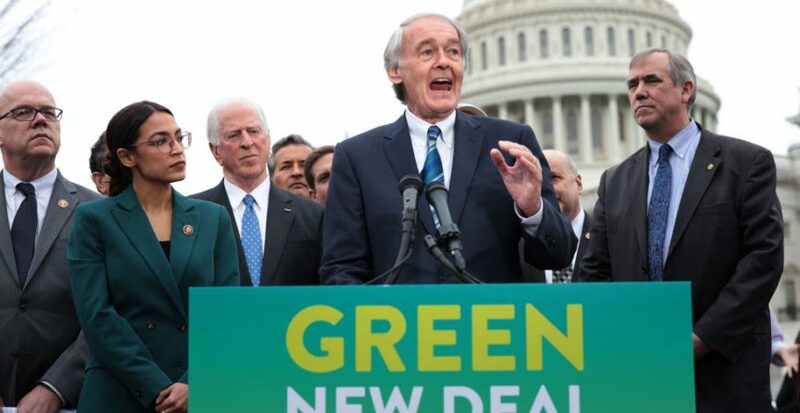 The senators who had the courage to vote what we all know to be true – that the “Green New Deal” is not serious policy – were Democrat Senators Kyrsten Sinema (AZ), Doug Jones (AL), Joe Manchin (WV) and Independent Angus King (ME). It’s now clear that the Green New Deal has garnered bipartisan opposition. And as the Wall Street Journal notes, it has exposed the left as being completely unaccountable for the costs of their extreme ideas. Thankfully, there are still some on the left who are willing to stand up for sane energy policy.